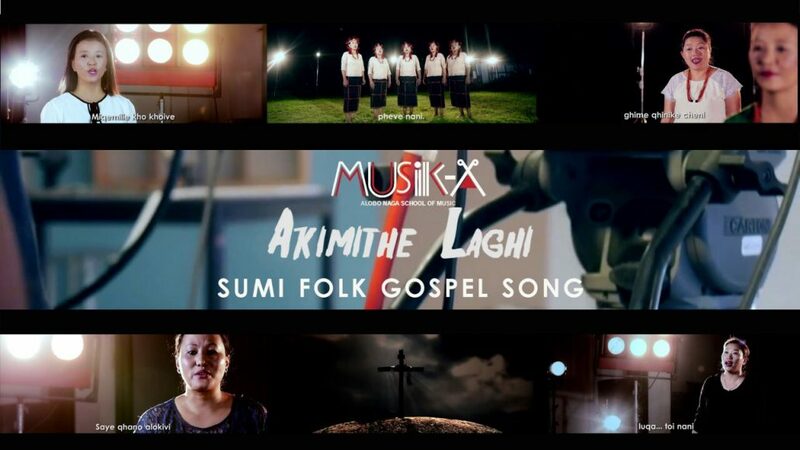 Lajupu Leku, a women singing group from Chekiye Village of Dimapur in Nagaland has released their first music video ‘AkimtheL aghi’ (The righteous way) on Sunday during the during the Tuluni festival, the popular festival of Sumi Nagas community. The song has been composed and produced by Alobo Naga, while the lyrics are by InaholiJakha. The music video album is being produced by Musik-A production. The recording was done by Alem Alia at Tribes Studio) and cinematography and editing have been done by Vito Sumi of Reckless films/ Newlife Studio. The song is a mixture of contemporary pop and Sumi Naga folk song. “Last year, this women folk from Chekiye Village came over to me for a crash course in contemporary singing. I trained them for a week, most of them were amateur and didn’t have much idea about music or singing,” Alobo Naga added. This year he composed this song and started this ‘tiny project’. “This is an experimenting project of mine, hope you will be blessed through this song,” Alobo Naga further said. One can view the music video on youtube channel.